We are so excited in our part of Texas, the sun has been shinning all week! Things are beginning to dry out and everything is so green and lush looking. We have really enjoyed being outdoors this week and spending a lot of time grilling and having some great back porch time. Grilling season is here and I look forward to seeing some of your awesome recipes today. Come on in and join us on the back porch, we will sip some tea and enjoy all this great food! Hi Miz Helen! It says that there are entries, but the pictures aren't showing up. Thanks for the party and I hope you're having a great week with the sunshine. Thanks Kitty, I fixed it, that was weird, it's that techie stuff don't you know. Always glad to see you here with your awesome goodies! Y'all have had a rough time in Texas, so glad the sun is out! Thanks for choosing my smorgastorta for part of your full plate today Miz Helen, and thank you for all your gracious hosting and sweet comments! We have the opposite weather in NY, but in between rain showers the breeze and low humidity has been lovely. Enjoy your early summer, thanks for the party. Thanks for hosting another great party! Enjoy the rest of the week! Hey Miz Helen, thanks for hosting this party; It's my first time here and I doubt it will be the last! I must try the corn salad,yummy. It looks so good. Great features. MizHelen, have a great weekend. I am happy to share with you all today. Thanks for hosting! 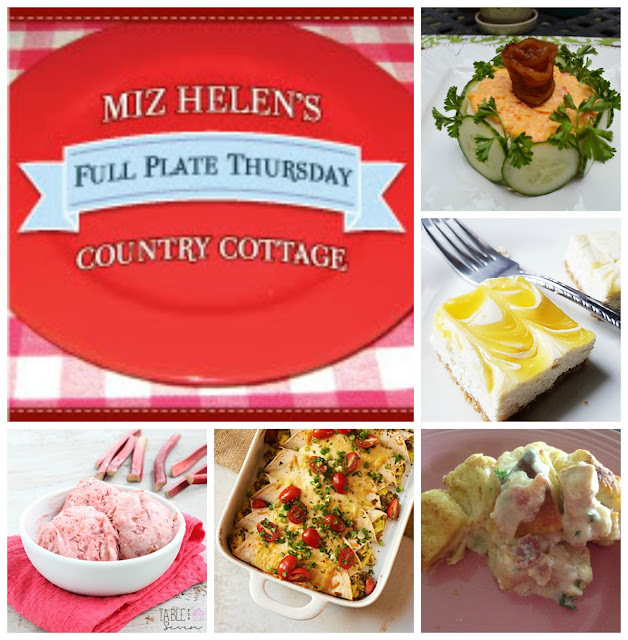 Miz Helen, I could make a meal of nothing but your El Rancho Corn Salad and biscuits! Thanks for hosting. Your corn salad looks amazing! Thanks so much for hosting. I love to share recipes when I have them, and I'm excited to have one to share today.